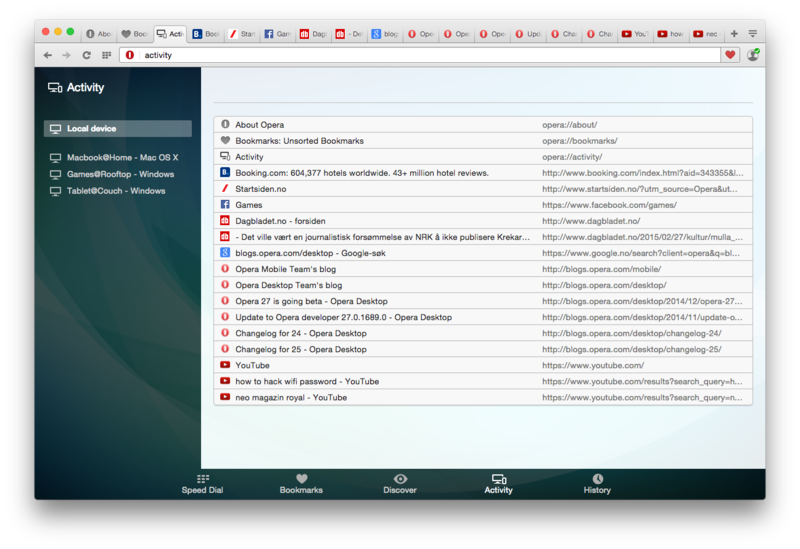 We have added a new way to view your open tabs, accessible via the start page. Simply click on the entry which is currently titled “Activity”. From there you, each of your synced devices will be listed. Now, click on any device name to see its list of open tabs. Thanks for testing and enjoy the weekend.